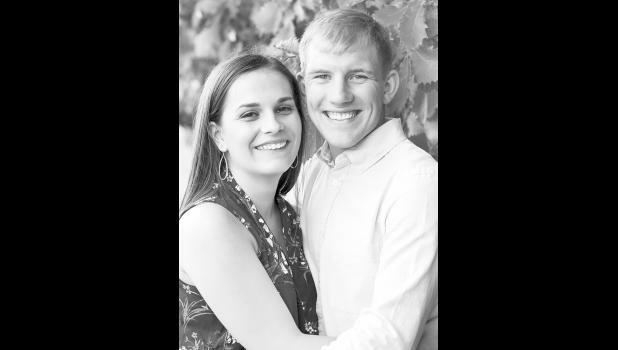 Guy and Tamra Habig of Hoyt are pleased to announce the engagement of their daughter, Erin Marie, to Bryce Golightley, son of Dan and Janet Golightley of Topeka. Erin is a 2013 graduate of Royal Valley High School and a 2017 graduate of Washburn University with a degree in radiologic technology. She is currently employed by Stormont-Vail Hospital and is working toward a bachelor’s degree in medical diagnostic imaging from Fort Hays State University. Bryce is a 2014 graduate of Royal Valley High School and is currently attending Baker University, pursuing a degree in business. He is currently employed by Benchmark Construction. Grandparents of the bride-to-be are Jane Habig of Topeka and Lea Morgan of Topeka. The perspective groom’s grandparents are Ronald and Jane Bird of Garfield and Earl Golightley of Larned. The couple plans a June 2018 wedding.